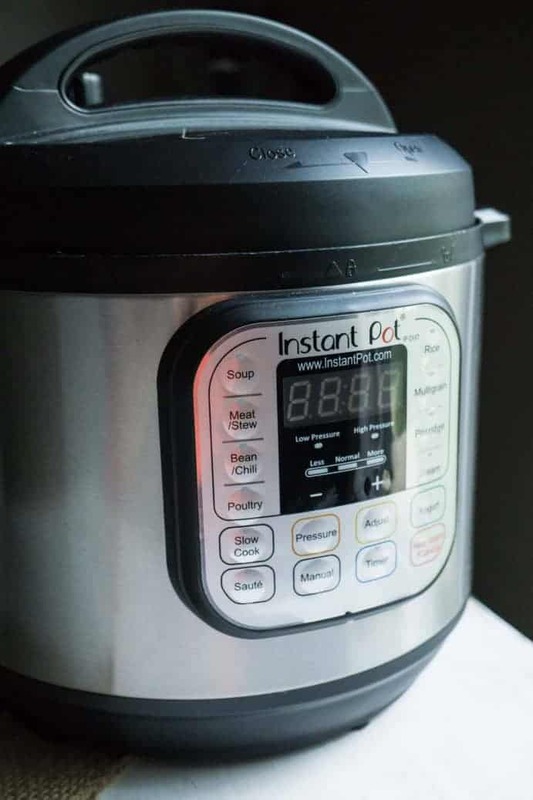 People often ask me: “Is the Instant Pot worth it?” or “Do you think the Instant Pot is something I need?” “Will the Instant Pot make me healthier?” Eventually I realized it was high time for an Instant Pot review. I’m sure you can live a fully functional life without an Instant Pot, but I legitimately feel a teeny bit happier each time I use mine. So having an Instant Pot will quantifiably make your life better. Can you really put a price on that? The only appliance I love more than the Instant Pot is my Vitamix. Now that’s an appliance I couldn’t do without. My totally neutral Instant Pot review is sounding pretty biased already, but I wasn’t always sold on these. Funny story, I actually found another Instant Pot review where the reviewer has affiliate links to another type of pot. She gives 10 reasons that she’s not buying an Instant Pot. They sound kinda convincing, but after reading the whole thing I had a solid rebuttal forming in my head. Then I saw that she later added an update at the very end… turns out she bought an Instant Pot after all, and totally recommends it! So don’t just take my word for it… once you have one of these things, you won’t regret the purchase. Any Instant Pot review is gonna have to talk about the fact that once you start cooking with the Instant Pot, you’re gonna discover that it doesn’t cook things the same as anything else. You’re going to need to find recipes that are specific to the Instant Pot. So I’ve included tons of recipes of my own in this Instant Pot review! Just read on to find them. Instant Pots – great for gifts… really! The Instant Pot is the perfect gift idea. It’s practical, yet a bit of a splurge. I love practical gifts, particularly when they’re things I wouldn’t otherwise buy for myself. For example, toilet paper is super practical, but it’s not my ideal gift! But the Instant Pot is worthy of a fist pump! So why does it make me happy? What I love the most is the ability to “set it and forget it.” It should be called the “Hands-Off Pot.” It doesn’t actually cook instantly (although some things are certainly faster, like cooking meat or reheating soup from frozen). But the work you need to do can be done in an instant. All you need to do is add things to the pot, press a few buttons, and walk away! Just don’t too far away, because, like most appliances, it shouldn’t be left running unattended! Meal prep is taken to an advanced level of easiness (is that an oxymoron?) with the Instant Pot. First of all, for all you newbies out there, a freezer meal is when you pre-make food, then freeze it. Then just reheat it for an easy meal, whenever you need an easy meal. Obviously reheating from the frozen state takes either a) a lot of time or b) some forethought… ie: you need to let it defrost in the fridge for a day before you want to make it. 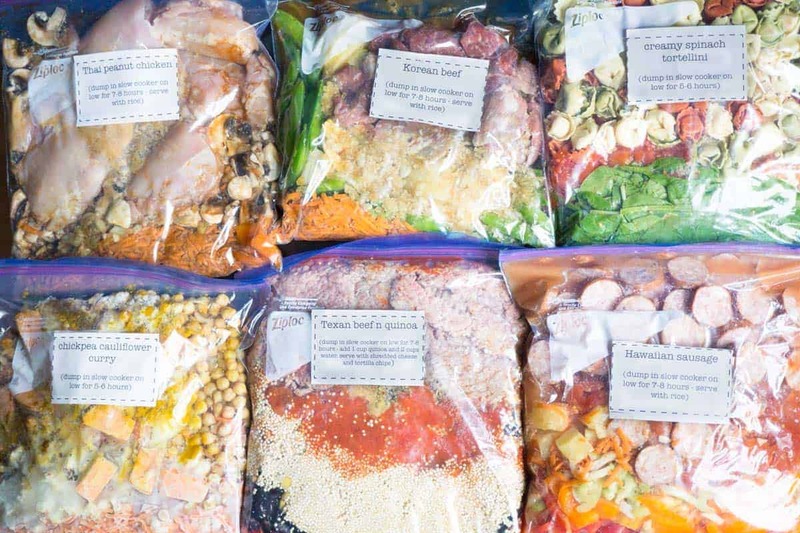 So what if you suddenly need a dinner and you haven’t thawed a freezer meal? Then those freezer meals are not so convenient! With the Instant Pot, you can easily go from frozen to ready to eat! Summary: The Instant Pot is a healthy choice because you can have quick healthy freezer meals instead of relying on frozen pizza or the drive thru. Full confession: the main reason I bought my Instant Pot was because my rice cooker kicked the can! I had never thought I’d be the type of person to have a whole appliance dedicated to cooking rice, but one of my former roommates left theirs behind after moving out and I ended up absolutely loving it! I was always pretty bad at cooking rice on the stove; despite knowing that you shouldn’t peek in and check on how it’s going I could never help myself! The rice cooker really does make the best rice without any work at all! Unfortunately, when my rice cooker died, I couldn’t see myself buying an appliance JUST for rice. But I could justify my purchase of the Instant Pot… it wasn’t ONLY for rice! But for the first year or so I owned my Instant Pot, it really was just a glorified rice and quinoa cooker! (I hang my head in shame). The best way to get the perfect texture every time! Summary: the Instant Pot can help you eat healthier because you can cook whole grains easily and perfectly every time. I’m not a big fan of hard-boiled eggs, so I didn’t often make them. Whenever I did, I’d have to look up how to do it! How long do they need to boil? Do I add the eggs before or after the water boils? Should I add vinegar or something? Suffice to say, the whole process made me even less likely to make them. My poor husband and son love hardboiled eggs, so I felt bad, especially since eggs are a healthy, affordable, and convenient protein option. Enter the Instant Pot and now I often have hardboiled eggs ready to eat in the fridge! I just use this beastly way of remembering how to cook them. Cook for 6 minutes on high pressure. Wait for 6 minutes and then do a quick release to release the remaining pressure. Plunge in a cold water bath for 6 minutes. The result? Easy to peel hardboiled eggs! 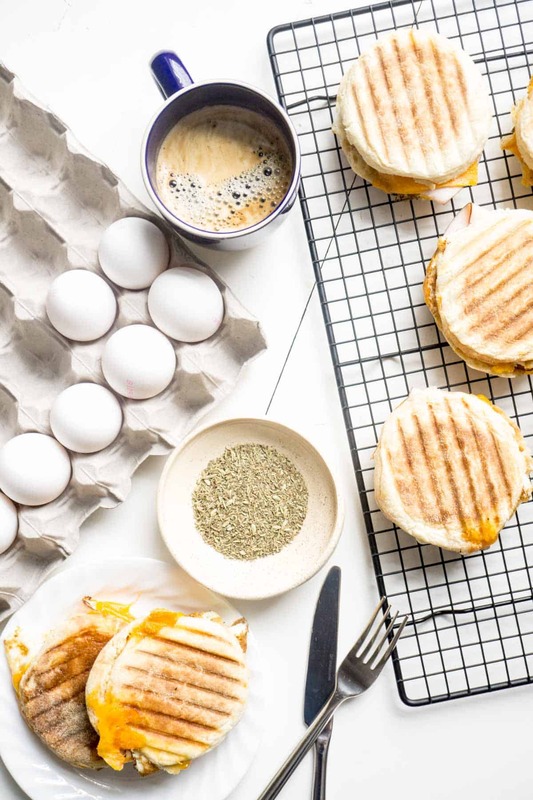 Summary: the Instant Pot can help you eat healthier, because you can cook hard-boiled eggs, which are a healthy, affordable, and convenient protein option. If I want to make a BIG batch of chickpeas or black beans, I’ll pull out my stock pot, cook up a big bag, and freeze them in ziplock bags. I have an easy tutorial for how to do this. It’s pretty easy and hands off so I wasn’t very motivated to find a new method. 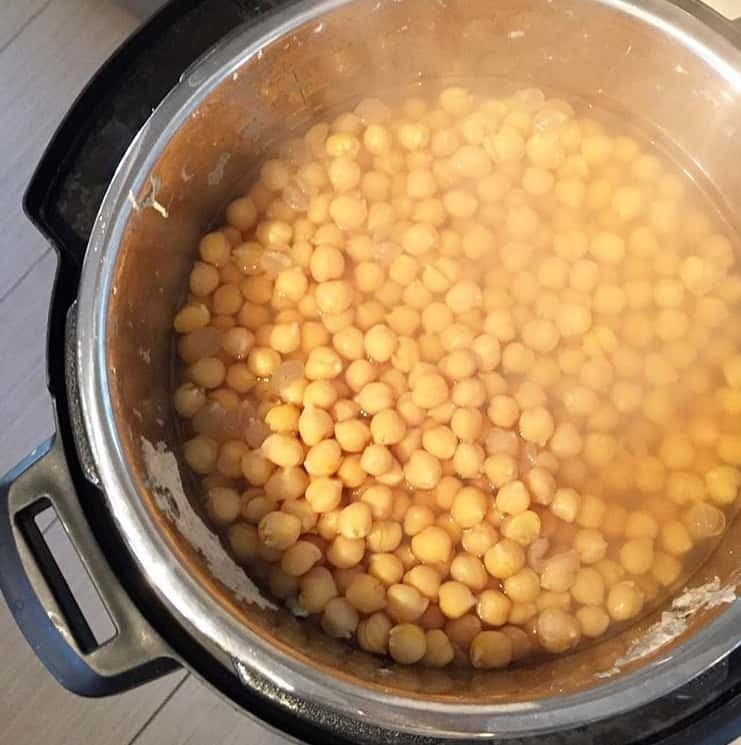 But I was recently trying to downsize my freezer stash, so I decided to try the Instant Pot to cook a small batch of chickpeas. Little did I know I was going to have my mind blown! I had no idea that changing the cooking method could actually make me love chickpeas more… because I already love them to a very high degree. But the Instant Pot will do that to you: it will keep surprising you with the wonderful things it can do! The chickpeas had the most amazing texture! They were creamy instead of gritty like they sometimes are when I cook them over the stove. there’s no heat escaping; all the electrical energy goes into cooking the beans! Oh, and there’s NO NEED TO PRE-SOAK your beans! Just throw them in and cook! Summary: the Instant Pot can help you eat healthier because you can cook heart healthy chickpeas, beans, and lentils without the work of pre-soaking! on my heated kitchen floor…. As you can imagine, these were rather annoying methods and didn’t give me reliable results! On the other hand, making yogurt in the Instant Pot does away with all that messing around! The Instant Pot takes care of steps 1 and 3. You just need to have a thermometer to check that the milk has cooled to the right temperature for step 2. Eating yogurt is a great way to consume beneficial bacteria (probiotics). 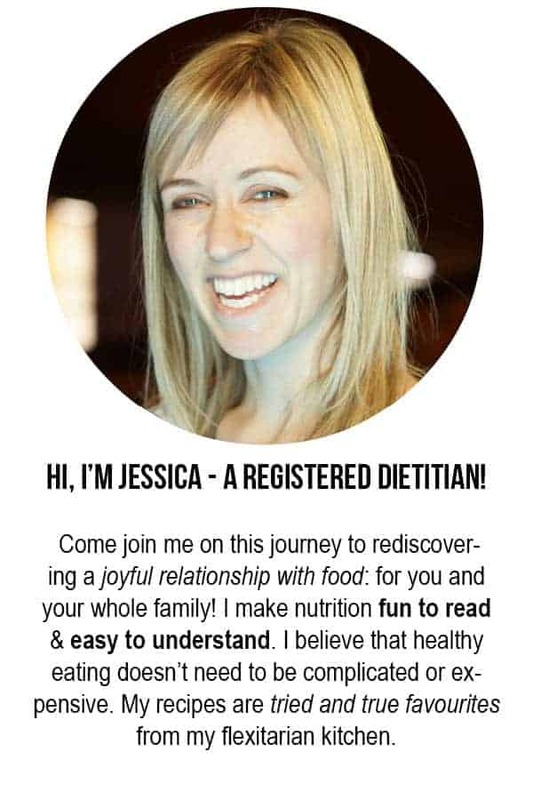 The research into the area of probiotics is rather young and we can’t definitively say that yes, everyone should be consuming probiotics. 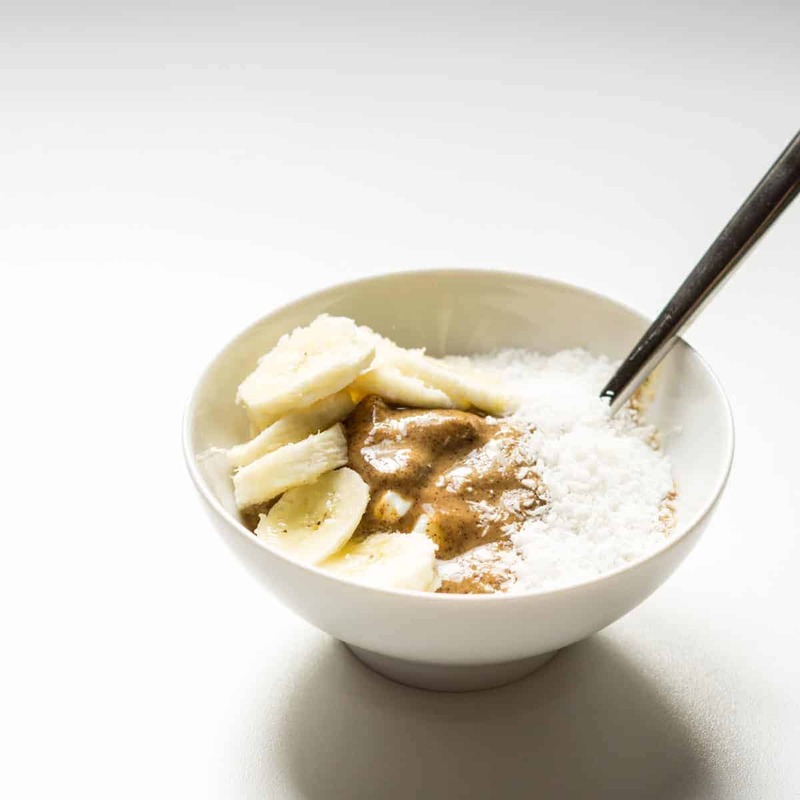 However, fermented foods (such as yogurt), which contain good bacteria have been consumed in most cultures for millennia, there’s no evidence of harm (unless fermented unsafely), and there’s the possibility that it COULD be beneficial. So while I’m not going to go and make any crazy promises that yogurt or other fermented foods are going to solve all your health problems, I do give them a green light and endorse them whole heartedly. In that other Instant Pot review I mentioned earlier, the reviewer mentions that she’s never going to make her own yogurt, when it’s so easy to get it from the store. I understand that not everyone has time to do things like this. But the Instant Pot makes it pretty easy, so don’t knock it till you try it. Keep an open mind, folks! Making your own yogurt you’ll save about 75% compared to the cost of store-bought, so that’s a significant savings! You might even find that you enjoy the process! Summary: the Instant Pot can help you eat healthier, for cheaper, because you can make your own yogurt, which contains gut-healthy bacteria. I’ve been having a LOT of fun with my sourdough starter, making all sorts of bread, pancakes, muffins, naan, and anything else that you would add flour to! But sourdough often involved a long rise time…. like 12 to 24 hours. I usually proof (fancy term for allowing dough to rise) my dough in a large bowl, covered with a damp tea towel, in the oven with the oven light on. The top of the dough develops a “crust” from exposure to the air, despite my best efforts to keep the air moist. I sometimes need to use my oven during that time! I have a bit of a fear that one day I’ll forget that my dough is proofing inside and I’ll turn on my oven and completely destroy the dough, or WORSE: start a fire with the tea towel! Which appliance did I turn to in order to solve this dilemma? The Instant Pot, OF COURSE! I discovered that you can use the YOGURT fermentation setting to proof bread dough! PS: If you’re curious about sourdough, check out my tutorial for how to get one started: it’s super easy! Summary: the Instant Pot can help you eat healthier because you can proof sourdough and bake delicious, low glycemic load, low gluten bread! If you’re ready to take the plunge, buy one on Amazon! This is the model I have and love (affiliate link). So what do you think? If you have an Instant Pot, how has it changed the way you cook? If you don’t have one, do you think you’ll put on on your wishlist? Any other feedback you have on my Instant Pot review? Which model do you have? I didn’t know there was one without a yogurt setting.